Due to weather, the original event was canceled. Given our nearness to the spring planting season, the annual meeting update has been included in existing location agronomy meetings. Meetings in Ortonville and Corona are held March 26, meetings in Herman are held April 4, and Fergus Falls meetings are held April 5. It was a big year with the unification of CHS Border States and CHS New Horizons! A new name calls for a new layout to the annual meeting. We’re excited about the agenda we have planned for the event and hope you can attend! Join us at your local CHS annual meeting and learn more about what happened at your cooperative during the past year. Global Agriculture: What’s Your Fit? trade summary, to answer this question. 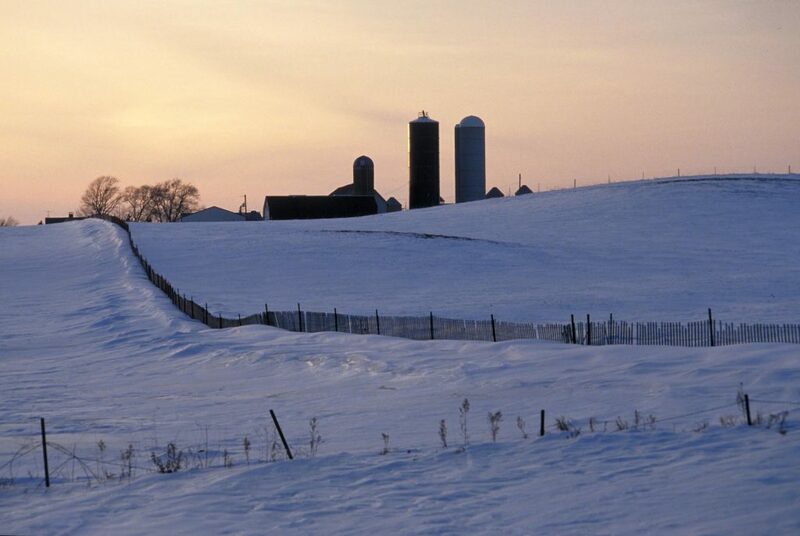 weather patterns affect fertilizer prices. This session pits Mosaic’s two veteran analysts (Dr. Mike Rahm & Andy Jung) against each other in two informal, and somewhat irreverent, debates about the phosphate and potash outlooks. Based on a coin toss, one analyst will argue the bull case while the other will argue the bear case, with the audience ultimately deciding the most convincing and winning argument. Contact a CHS staff member to learn more about the event! Invitations have been mailed directly to member-owners of the cooperative. Revised 1099s were sent in the mail Friday, February 15th to members, along with a letter outlining information regarding the 1099s. Please note the 1099s being mailed are not replacements to the one you already received, but rather an additional statement to provide your tax preparer. Please keep a watch on your mail this week to collect this statement. We appreciate your understanding of this situation and welcome any additional questions. On your CHS 1099 PATR box 3 if you had any grain transactions where you received payment in the time frame of 01/01/18-08/31/18 this information may not be showing on your 1099 detail statement or included in your 1099 box 3 amount. We are working to have corrected 1099’s sent out. We apologize for this error and we will have it corrected as soon as we have the new amounts. Thank you. Improved earnings in the company’s CF Nitrogen, Ardent Mills and Ventura Foods investments. Improved pricing within the company’s crop nutrients and processing and food ingredients businesses and volume increases within grain and processing. Higher earnings from the company’s investments in Ventura Foods, LLC and Ardent Mills, LLC as well as increased interest revenue from the company’s financing business. Read the full press release online here. 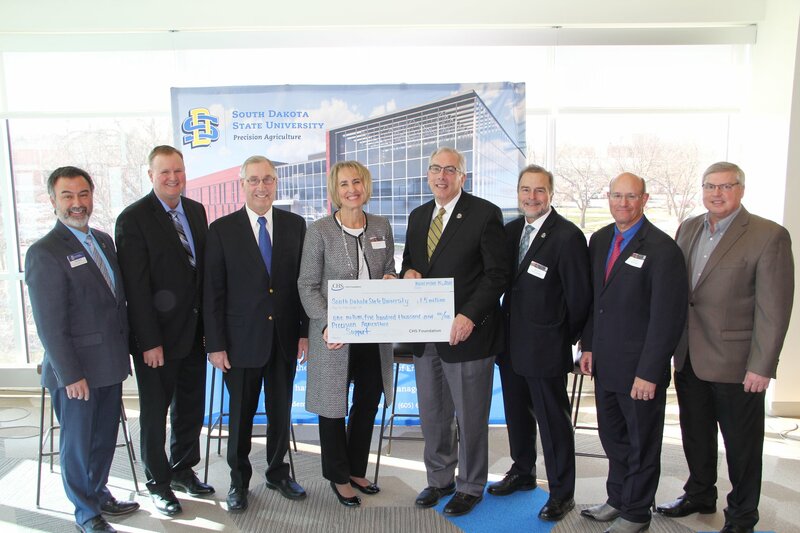 Photo from left to right: CAFES Dean John Killefer, CHS Board of Director Tracy Jones, CHS Board of Director Randy Knecht, CHS Foundation President Nanci Lilja, SDSU President Barry Dunn, Jerome J. Lohr College of Engineering Dean Bruce Berdanier, CHS Board of Director Dave Kayser, and CHS Region Vice President Ed Mallett. 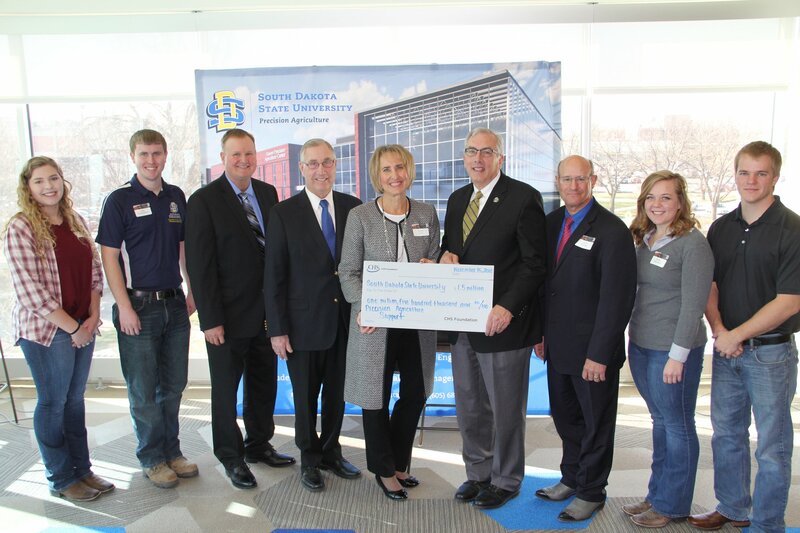 The CHS Foundation, funded by charitable gifts from CHS Inc., announced a $1.5 million grant to support the South Dakota State University (SDSU) precision agriculture program and construction of the new Raven Precision Agriculture Center on campus. 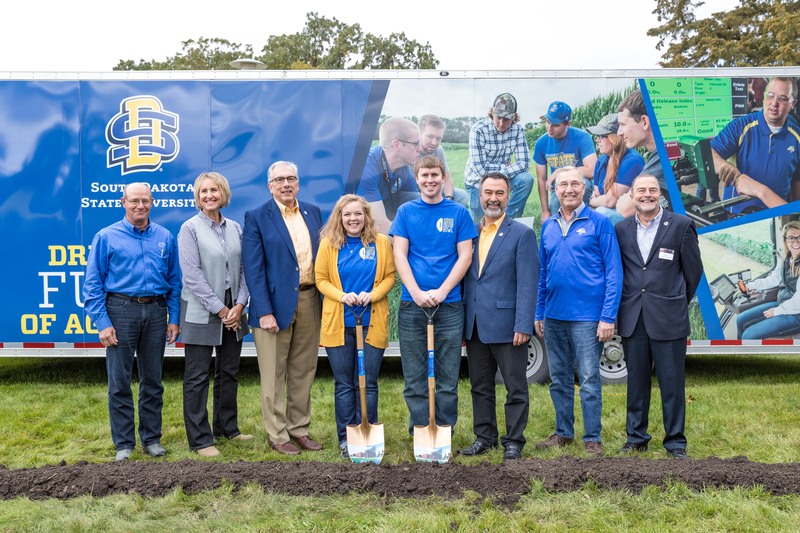 “The gift from the CHS Foundation is pivotal in allowing us to make our globally preeminent precision agriculture program a reality,” says John Killefer, the South Dakota Corn Utilization Council Endowed Dean of the SDSU College of Agriculture, Food and Environmental Sciences. The gift aligns with CHS priorities around ensuring that educating the next generation of ag leadership includes technology and tradition. SDSU is the nation’s first land-grant university to offer a bachelor’s degree and minor in precision agriculture. The degree is a collaborative effort encompassing the Agricultural and Biosystems Engineering Department and the Agronomy, Horticulture and Plant Science Department in the College of Agriculture, Food and Environmental Sciences, as well as the Jerome J. Lohr College of Engineering. SDSU’s precision agriculture degree will provide students with access to cutting-edge developments in the rapidly evolving intersection of agronomics, high-speed sensor technology, data management and advanced machinery development. Students will be prepared for lifelong careers that support economically and environmentally sustainable agriculture. This facility will allow the state to lead the nation in precision agriculture research, teaching and innovation. The building has 129,000 square feet of floor space that will be able to house modern precision farm equipment and will provide collaborative learning spaces for student design projects. Flexible space will give scientists from a variety of departments and industry space to collaborate on research and education. Final construction plans are in-progress. Some ground work is expected to begin this fall, with construction starting in the spring of 2019. 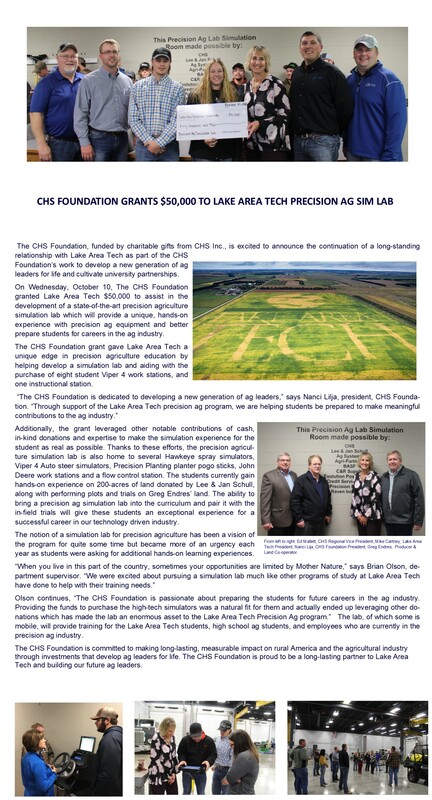 The CHS Foundation, funded by charitable gifts from CHS Inc., is focused on developing a new generation of agriculture leaders for life-long success. Together, with our partners, we are igniting innovation and driving excellence in agriculture education, cultivating high-impact programs for rural youth and accelerating potential for careers in agriculture. Learn more at http://chsfoundation.org. 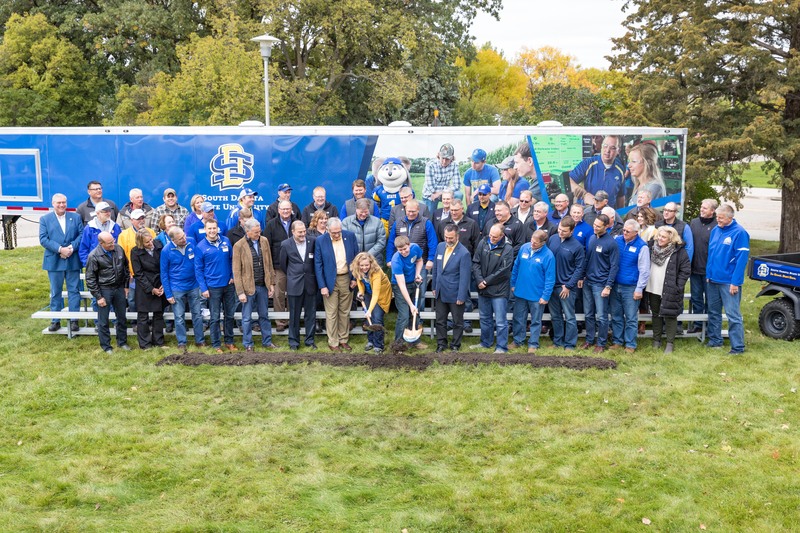 Founded in 1881, South Dakota State University is the state’s Morrill Act land-grant institution as well as its largest, most comprehensive school of higher education. SDSU confers degrees from seven different colleges representing more than 200 majors, minors and specializations. The institution also offers 36 master’s degree programs, 15 Ph.D. and two professional programs. 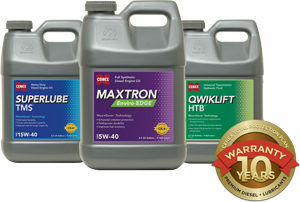 Starting Novem ber 1, 2018, through February 28, 2019, you can earn one $50 VISA® gift card for every 125 gallons of lubricant and grease products purchased. Complete a Gift Cards for Gallons Redemption Form (you can obtain this from your local CHS energy team), attach the qualifying sales receipt(s) or invoices, and submit by mail no later than April 6, 2019. Contact our office with any questions!